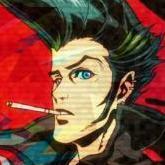 A thread called 'Why was Old Murk-Eye removed as a collection reward?' rose to the front page of r/hearthstone yesterday and Ben Brode dropped by to share some insight on promo cards that have rotated out of Standard. More than a year ago, when Standard and Wild were introduced to Hearthstone, Team 5 decided it was time to bid farewell to the following promo cards: Captain's Parrot, Old Murk-Eye, Elite Tauren Chieftain and Gelbin Mekkatorque. Yesterday, a Reddit user was wondering why these cards (and specifically the legendary Murloc one) weren't available anymore, while other users wanted to know why the team decided to keep these cards in Wild only. 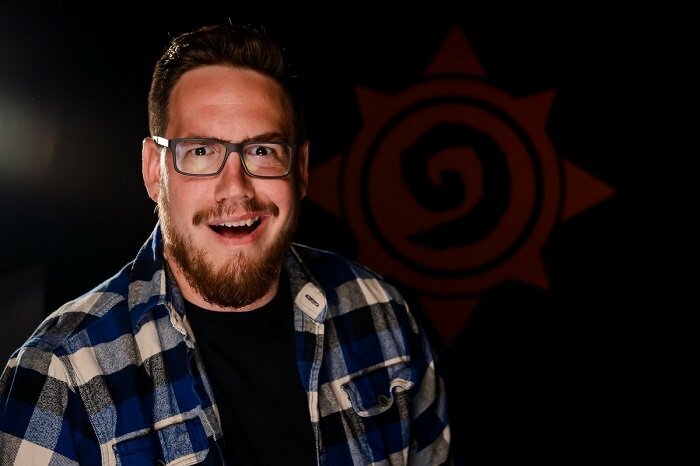 Enter Hearthstone's Game Director Ben Brode, who answered to the original poster first. Ben repeated the team's statement from a year ago that Old Murk-Eye was removed because Charge minions have proved historically (and especially in 2016) problematic. He also explained that they removed the card as as a reward, because they wanted players to focus on acquiring Basic, Classic and Standard sets first and leave Wild last. Additionally, Ben characterised the whole concept of "promo" cards complex - which is quite a peculiar statement. Ultimately, if the team wanted to give away a free Legendary, they wouldn't give this one. We had to make a call on "promo" cards: Should they be Standard forever? Or Wild? I think it could have gone either way, but the opportunity to remove another Charge minion in Standard (Charge has been the cause of a lot of balance issues, historically), was hard to pass up. We also stopped Captain's Parrot from showing up in "random Beast" drops in Standard. At the end of the day, we felt like Standard would be more fun without those cards. Maybe we should have just nerfed Murk Eye to remove Charge instead, but I actually like that it exists in Wild. We removed it as a reward because we didn't want players to randomly unlock Wild before our yearly rotation, or before they initiated the unlock themselves by crafting a Wild card. Ideally new players move through the cards in this order: Basic > Classic > Standard-Legal > Wild. In game design, you can eventually get players to very high levels of complexity, but starting with the most complex thing can turn new players off. We call it the "complexity curve", start with the basics, then layer in complexity. It's why you take Algebra before Calculus, and not the other way around. It's also one of the reasons why new players don't start with everything unlocked. Several people pressured Brode on that last issue: for example, one user stated that Old Murk-Eye could be given as a reward when a player crafts his/her first Wild card. However, Ben responded to all of them multiple times that he didn't think this was the ideal legendary to give to players for free (1, 2 and 3). Ben explained his comment that "promo" cards can seem complex to new players, by saying that: "The more concepts we introduce, the more you have to learn, the more work it is" (source). When asked if the Hearthstone team planned to make more "promo" cards, Brode expressed his uncertainty on the issue. I am still wondering if they will keep rotating out cards from classic set and let it shrink more and more. I was hoping they will use a nice system working well in other cards games which remove cards from basic sets too but include new ones as well or include some cards from an expansion (when it rotates out) to classic set. If you play wild only you don't care I guess otherwise it feels like a loss even though they give the full dust value for cards rotating out from classic. I can't see a drawback if they would do it that way instead of players seeing their long collected classic cards gone to wild only or am I wrong on this? For classic cards that are baseline, (i.e. an X cost card with the same X values for attack and health "plus one of either"), it is much easier to simply just make a new card that's better (Same as above but one additional effect, or even more powerful but situational such as requiring minions on the board). Long term, I think it is quite likely that they will introduce more classic cards (Although in that case more appropriately named basic cards as you mentioned); cards that have baseline stats like I mentioned above or ones situational enough with not too much synergy potential (To avoid unbalance risks) with new expansions. One such example would be Argent Tournament's Pit Fighter, being a 5 cost 5/6 that has no synergy. A card like that would be relatively likely to make it into a basic set. The top priority for the hearthstone team however is certainly bringing out expansions, as that's where the money is, so while new basic cards are likely to be introduced, it's not a high priority. Classic cards are the baseline, and some of them are great to have around forever. Yeah, except those you nerfed to the ground, moved to Wild or created power creep versions of. As a math major I take offense to this. You learn Algebra before Calculus, not because Calculus is more difficult, because most of calculus is impossible without Algebra. . .